the first impulse for this one was me wanting to paint a girl with a raven as companion. finally it grew into a scene one may call ‚red riding hood in dystopia‘. 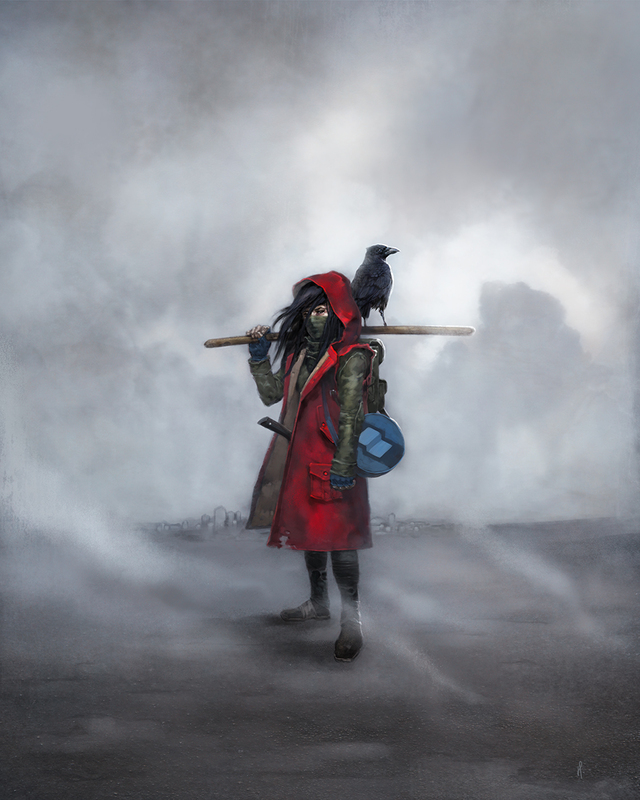 a girl with her feathered friend in a hostile world quite similar to the one we get to know in cormac mccarthys ‚the road‘.